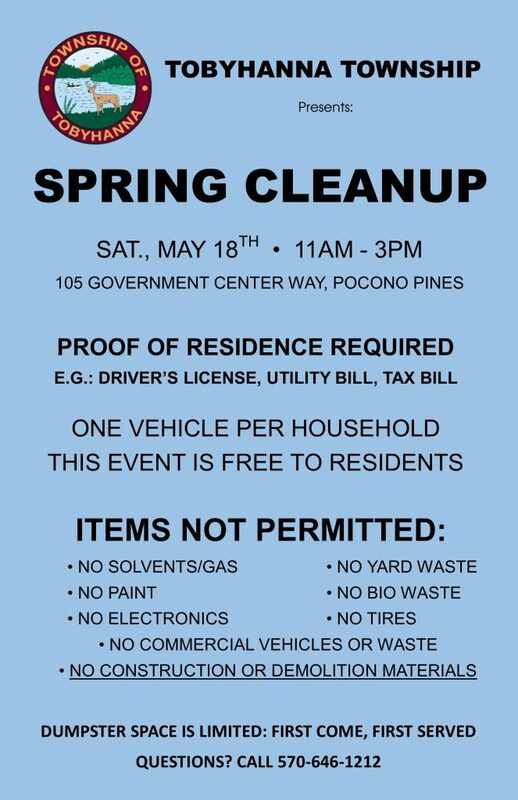 Tobyhanna Township announces its first Spring Cleanup Day! This event is for residents only, so please be prepared with proof of residence. More information below.